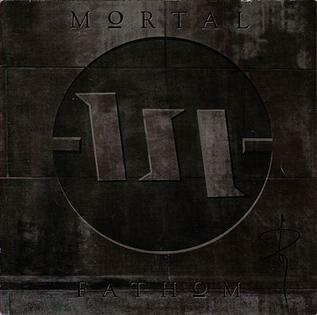 Twenty-five years ago, Mortal released Fathom—and my world changed. Fathom was the album that convinced me dance rhythms and hard guitar could work together. Fathom was the album that convinced me that in terms of creativity and originality, CCM could surpass anything the so-called ‘secular’ world would put out. Fathom was the album that convinced me that . . . well, let me put it this way: Fathom was, and is, in my not-so-humble opinion, the greatest CCM release ever. I find it hard to identify a standout track on this album. ‘Rift’ was my favourite for a long, long time, but these days, twenty-five years on, I am reluctant to talk in terms of ‘favourites’. Besides, my opinion changes every time I listen to the CD. Today’s standout track is ‘Bright Wings’, with its setting of Gerard Manley Hopkin’s ‘God’s Grandeur’, but tomorrow it could be ‘Neplusultra’ or even the untitled hidden techno track. Absolutely fantastic album. Mortal's best by far, and it's not as if the rest of their output was rubbish. There is something special about Fathom, that's for sure. It seemed to capture something of the excitement that came with a new freedom found in mashing genres, whenever teenagers (as I was) suddenly realised they didn't have to identify any more as a fan of a particular style of music. And the fact that CCM through certain record labels were embracing this as well was aurally liberating. Hmm... autocorrect on my mobile has altered my expert grammar in places.